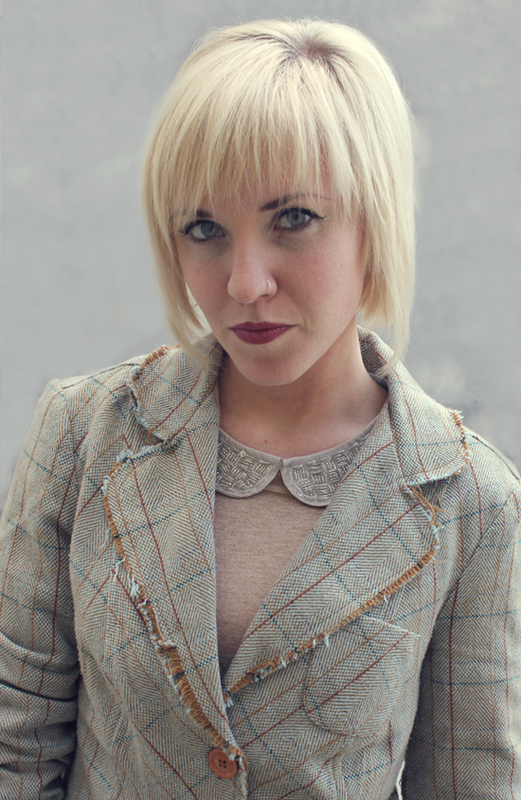 Newsflash: If you keep a hobo tweed jacket in your closet long enough it WILL come back into style with vengeance! I’ve almost donated this blazer SEVERAL times. I’m still not even sure I’ll keep it, but elbow patches are back in style and I’m one happy camper. Our elbows need a little loving from time to time. What do you guys think of elbow patches yay or nay? 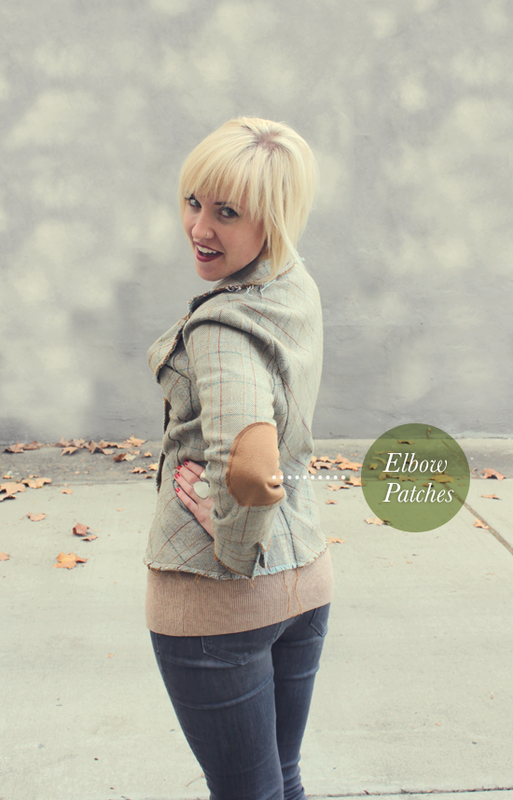 I found the cutest tutorial I want to try on making heart elbow patches for your sweaters. Check it out here. I realize my last post had a peter pan collar but I just can’t seem to help myself with these. Every time I put on a shirt I look at the neckline and think, oh how boring! Let’s just add a collar. I just bought this lipstick from Target, L’oreal #737. I also bought the infamous “oxblood” color but I am not a fan of the shade on me. One must possess pigment in their skin to wear this color. I’ll show you what it looks like in my next post. Any suggestions on how to wear oxblood as a lip color? Have you tried a certain brand that works well for you? Have a nice weekend, Toodles! Love that jacket, & the DIY. I have NO idea how to wear oxblood lipstick. It’s kind of a scary color to try & pull off, but I think it works for you! You look PISSED in the second two photos hahaha. A pretty pissed 😉 Love your jacket and booties! Keep using the collar because it rocks! 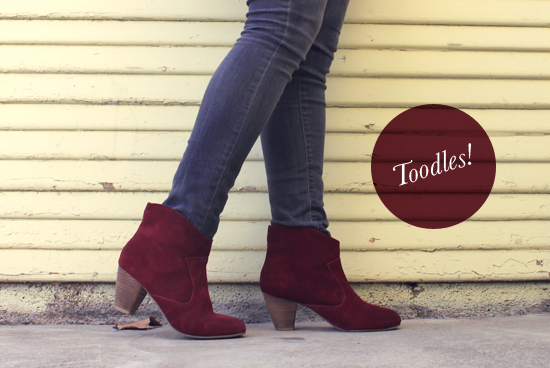 cute outfit, these booties are awesome. I think the boots look good with your skintone! 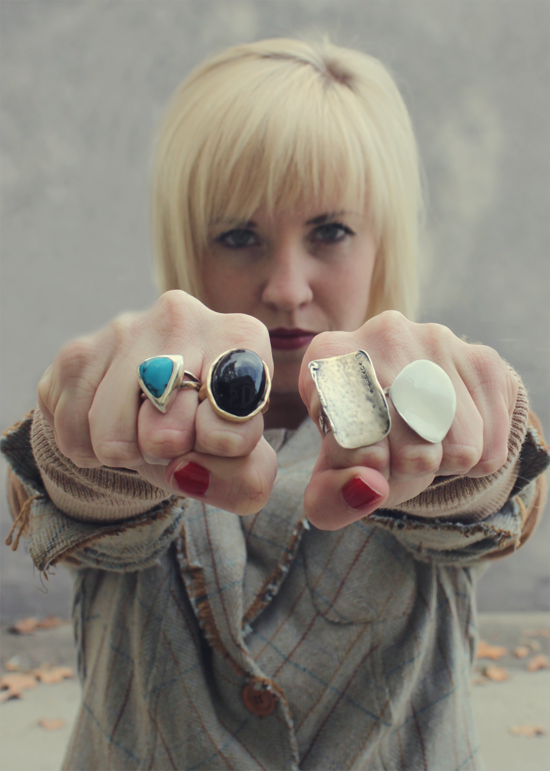 Great look, I adore elbow patches, and your rings are gorgeous! Such a lovely outfit! I love the muted colour scheme and those boots are such an amazing colour. omg! i love everything about this post! just everything! but the rings! love! love all the bonus features to this look!! 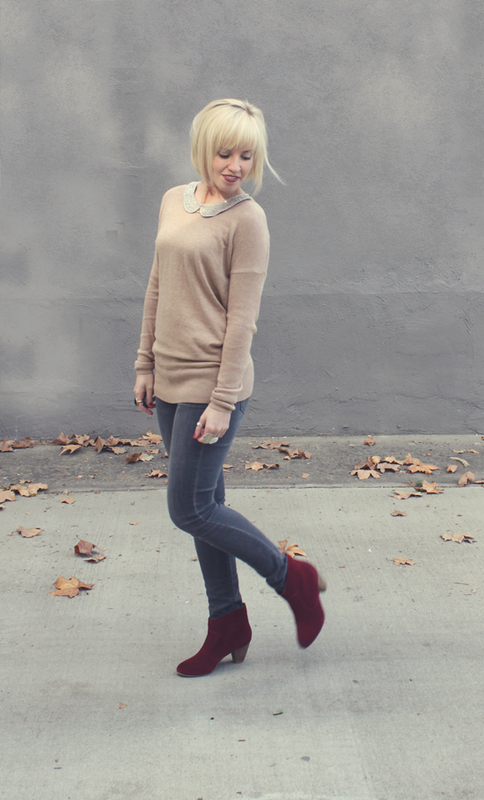 elbow patches, bright colored booties, jeweled peter pan collar . . . swoon. Love your blog, now following!!! Super cute outfit, the booties are GREAT! Lovely girly look! Those booties just tie it all together! you are stunning! i love your shirt and those shoes of yours. 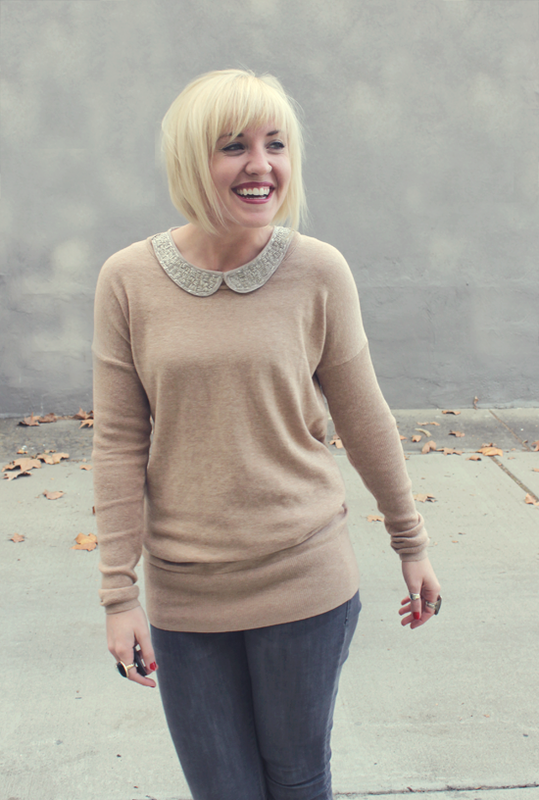 Love the colour of the top and the peter pan collar! So cute and feminine 🙂 The boots are gorgeous too!